STAR Teaching School Alliance » Selby District Bike Library – bikes needed! 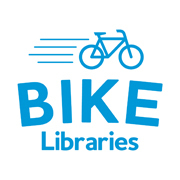 Selby District Bike Library – bikes needed! Local organisation Positive Youth, in partnership with Tadcaster Grammar School, have secured some funding to establish a new Bike Library as part of the legacy of the Tour De Yorkshire. Through this scheme, members of the community can loan a bicycle free of charge for an agreed period of time. The scheme works by renovating unwanted bike donated to the project. If you have an unwanted bicycle that needs repair or has been outgrown please consider donating it to the project and directly benefit your community. Please contact positiveyouth@outlook.com to arrange a donation or bicycle loan.